The state company behind the plant, called the “Akademik Lomonosov“, says it could pioneer a new power source for remote regions of the planet, but green campaigners have expressed concern about the risk of nuclear accidents. Greenpeace has called it the “nuclear Titanic“. 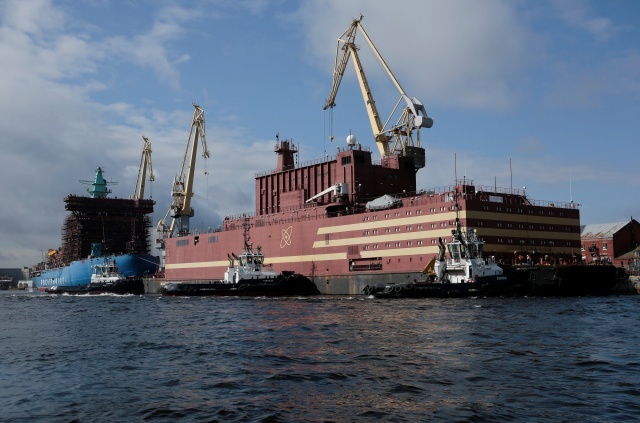 Russian state nuclear company Rosatom, which developed the floating power plant, said that it docked the unit in Murmansk on Saturday where it was towed from St Petersburg, the city where it was built. In Murmansk it will take on board a supply of nuclear fuel. It will then will be towed to the town of Pevek in the Far Eastern region of Chukotka, separated from the U.S. state of Alaska by the 86-km (53 miles) wide Bering Strait. It will start operations there next year. The plant will replace a coal-fired power plant and an ageing nuclear power plant supplying more than 50,000 people with electricity in Chukotka, Rosatom said. Rosatom has long planned to launch the sea-borne power units, which, with their mobile, small capacity plants, are best suited to remote regions. The small plants were designed to make it possible to supply electricity to hard-to-reach areas of Russia. They can operate non-stop without the need for refuelling for 3-5 years. 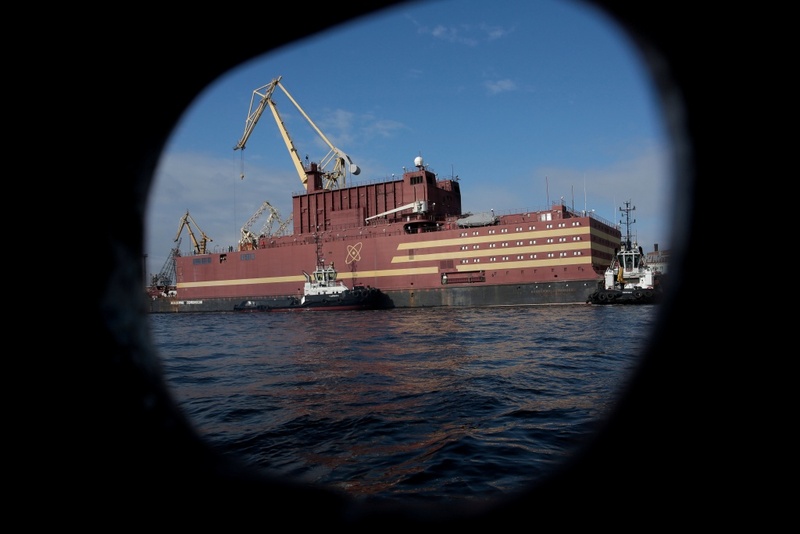 Environmental protection groups, including Greenpeace, have sent a letter to Rosatom boss Alexei Likhachyov demanding strict adherence to safety standards and saying they were watching the floating facility’s development “with great concern”. The letter calls for full and unrestricted regulatory oversight by the Russian nuclear regulator and an international study into the environmental impact before the reactors are loaded with fuel and tested. “Nuclear reactors bobbing around the Arctic Ocean will pose a shockingly obvious threat to a fragile environment which is already under enormous pressure from climate change,” Jan Haverkamp, nuclear expert for Greenpeace Central and Eastern Europe, said in a statement last month.